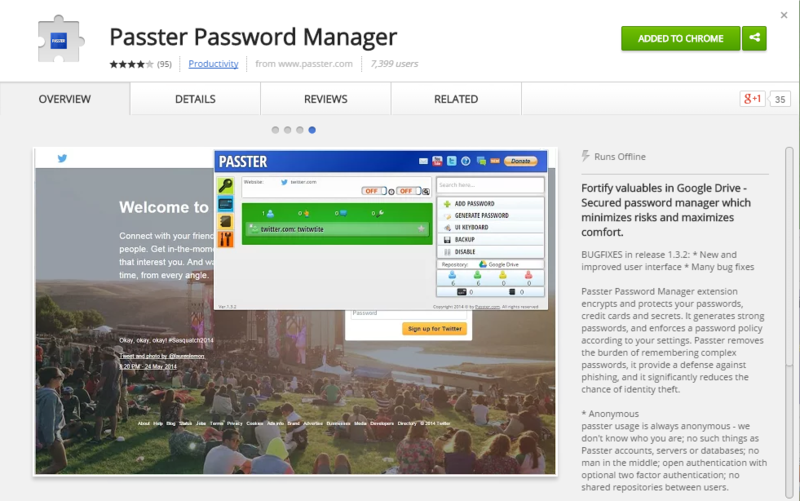 Setup is quite easy - start by installing Passter Password Manager Extension from Chrome Web Store. In any time you can change your settings, which include options such as security, password policy, backups and restores. Passter automatically suggests to remember (using Chrome notification) and to fill-in your website passwords. You can manage your passwords, credit cards and secrets using a full page user interface. 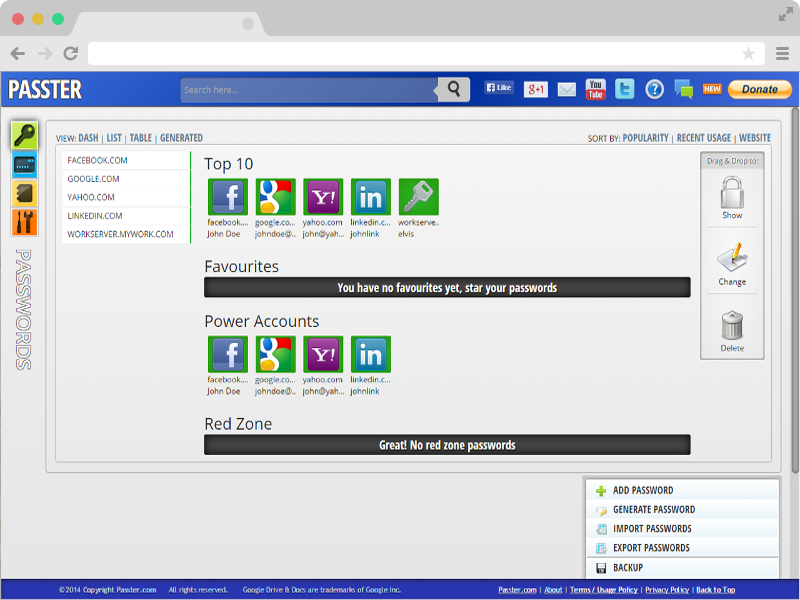 Click on the Passter icon (found in Chrome toolbar) to view and manage website passwords. Use a right click button when hovering over website mini-table to show, login, change, star or delete the selected password. Password Repository - Select the physical storage location for passwords, credit cards and secrets. Can be either the browser, or your Google account. Computer/Device Environment - Used for defining a password policy. Private computers are less restricted, while shared environments should have maximum restrictions. Encryption Key - Select manual for encrypting your passwords with master key. Or select automatic and let Passter handle your master key (not recommended). Key - The master key. You must remember it and keep it safe! It is not possible to retrieve it and once lost all your passwords are lost too. Join discussions and use Q&A using Google Groups. Watch some of our YouTube videos to gain some insights. Visit our Facebook page to get latest updates. Is Passter Safe to Use? - Probably the safest password manager around. Running inside the browser without traveling to different operation system processes or unknown network locations. Privacy is fully kept since you are anonymous and Passter doesn't own any servers. Password Policy is also a feature which capable of reducing many potential risks to your passwords, identity and even your money. Two Factor Authentication? - Supported! Make sure to select Google Drive repository and configure your Google account to 2-factor auth. Sync Passwords? - Supported in Google Drive repository, make sure to install Passter extension in every supported device. Encryption? - Yes, all the passwords, credit cards, secrets and other information is encrypted using AES-256 and stored in the browser. Plain text information is not stored. Anonymous? Really? - You betch! 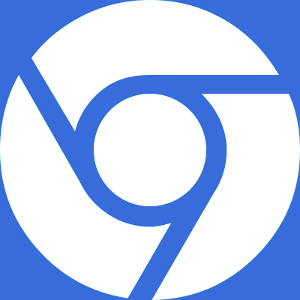 Passter uses Google OAuth2 protocol which authenticates the user on their servers, and in exchange Google give an authorization token for Passter without any identity of the user behind it. Passter Servers? - Sorry hackers, no servers and no centralized database for storing user passwords. Lost My Key, Can I Retrieve? - Sorry but it is not possible to retrieve keys nor passwords. Better reinstall Passter and restore an old backup, only in case of Google Drive repository. 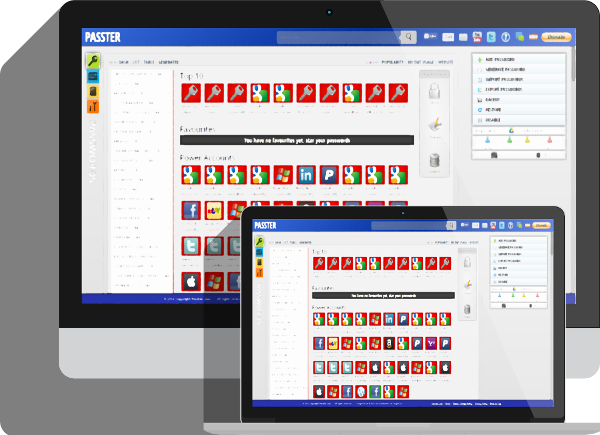 Where is Passter Web App? - Former website and webapp is still available here, yet it is not farther developed. As a software engineer in a security product I've decided to take action and to create the ultimate & safest password manager. I wanted a full control on my password's physical location without trusting third party servers or solutions (like LastPass, Roboform, etc). I also wanted to add best practice security policies such as changing passwords frequently and alerting me on duplicated or non-strong passwords usage in websites. In the meanwhile Passter evolved from your comments and suggestions, thank you.